Buying or Renting in the Philippines? Should you be renting in the Philippines? Sometime in the past, I published an article here about renting a place to live. Almost immediately after the article was published, a number of people questioned why I would be renting in the Philippines instead of buying a property. Jim Cunningham put it in a non-confrontational way, simply wondering why I would choose to rent. Thomas Gil called me stupid for renting. Hmm… it’s the first time in years that I have been accused of being stupid, but if that is what Thomas thinks, well, so be it. The fact is that I have some real concrete reasons why I would prefer to rent. For others, like Jim or Thomas, if they wish to own a property, that is their decision, and I do not think that they are wrong for doing so, but the fact is that owning a house in the Philippines is not my choice, at least not at this time. So, what would be my reasons for wanting to be renting in the Philippines instead of owning a house? First, timing is a key factor. Right now, my youngest child is in grade 4. He will finish High School in about 6 years from now. At the time that our youngest child finishes High School, we probably will choose to no longer live in Davao. The fact is that there are things about Davao that we are really becoming disillusioned with. The city is becoming way too crowded and congested for our taste. Traffic in Davao is a nightmare, and it seems that little or nothing is being done to alleviate the problem. So, it is unlikely that we will remain in Davao after our youngest child finishes school. Because our current place of residence, Davao City, is a place that we have come to consider only temporary, the temptation to own a home here is simply not there. We don’t have the desire. Jim mentioned in his comment that being economically astute dictated that you should own a house instead of renting in the Philippines. He mentioned something along the lines of paying rent was like throwing money away. I am sorry, but I disagree with that. Let’s look at some numbers. The house where I am currently living had been offered to us for sale a number of years ago. The price was P20 Million Pesos. Now, I renting in the Philippines of almost P38,000. In US Dollars, at today’s exchange rate, the asking price for this house would be $476,000. My rent in US Dollars would be $883. OK, so if I take $476,000 to buy a house, or to build one, it could save me from paying $883 per month. Alternatively, if I took $476,000 and invested it with an annual return of just 5%, my return would be $23,800 annually or $1,983 per month. I could invest that money at 5% (in normal economic times that is a quite conservative return) and the interest on the money would pay my rent and also produce an extra $1,100 per month of income for me. If I buy the house, I no longer have the principal, and I save $883 per month. If I were able to get 7% interest instead of 5%, my monthly return becomes $2,776, an increase of about $800 per month! On top of the simple interest calculation, if I own the house I am also responsible for other things. Property taxes. Repairs on the house, and such. Frankly, given these kinds of numbers, it makes no sense to buy. In the USA, Real Estate investors generally shoot to get a minimum of 1% of the property’s value each month as rent. That makes economic sense and makes it prudent to buy a property. I have been paying only 2/10ths of one percent of the property value for rent! That’s almost like they are giving it to me! Economically, buying property in the Philippines is a losing proposition. Ah, I know that many are saying that if you buy a house, it will appreciate in value, so it is an investment. Fact is, that is not necessarily true. Especially if you do a large house at the top end, the odds of it appreciating in the Philippine market are small, in fact, the odds are that it will remain the same, or even decrease in value. If you own a house and decide you want to move – maybe you want to go back to the US or wherever you came from, or maybe you want to go to Bohol, Cebu or some other place in the Philippines, the fact is that a higher end property, especially one built “for an expat” who has different tastes than the local market, is very hard to sell. I have seen houses that are up for sale for years here. I have also seen expats who decided to “go home” and had to sell their dream house for a fraction of what they spent to build it. At the time of publication, my wife and I have decided to return to the USA and will be leaving the Philippines soon. Not being stuck with a house to sell makes things much easier for us, I can assure you. As I have told about repeatedly on this site, I have had some serious issues with my neighbors in the past year. If I owned the house, I would be stuck here and could not just move to a new neighborhood. As Dave Starr mentioned in a comment, what if I had neighbors who decided to open a metal shop, or a pig farm next door? There would be little I could do. If I am renting in the Philippines, I can just move somewhere else. If I owned the place, I would be stuck. Any regular reader knows that Feyma and I own property on Samal Island. We have talked about building a house there. Because of some of the things I mentioned above about Davao, we feel that we don’t want to live in Davao in the future, and that includes Samal. Maybe we will change our minds over the years that are coming, we are not sure. But, right now, we have other options in mind. I have not mentioned here, but Feyma also owns other lands in other parts of the Philippines (in Mindanao and in the Visayas), and these other places are possibilities for our longer-term living. Maybe we will be in Davao, maybe not. Right now, we are leaning toward not making Davao our long-term home, though. Why would I want to buy a house that could be very hard to get rid of in the long run? The truth is, there are a lot of reasons why, at this time in my life, I feel it is better for me to be renting in the Philippines. If others think it is unwise, I have no problem with whatever they think, but I also know what is right for me. Am I stupid for renting in the Philippines? I don’t think so. If some people think I am, I don’t really lose any sleep at night worrying about what they think. Additionally, I don’t lose any sleep worrying about whether I should continue renting in the Philippines or own a house in the Philippines. I know what is right for me. I don’t know why others think that I should live by what is right for them. There are reasons to own property too, I am not saying that there are not. The biggest one is simply because you want to own your house. For some, it means peace of mind to own their house. For others, like me, they get peace of mind not being tied down to a property. We owned our house in the USA, so we are not anti-owning. I am, however, anti-owning-in-the-Philippines. At least for now, given my life situation, and my future plans. I have no issues with those who want to own, it is their decision. I don’t understand why my wish to rent my house should be a concern for others. As many of you already know, my wife and I renting in the Philippines. To many Americans, long accustomed to buying more house than they can afford because “real estate always goes up” renting in the Philippines instead of buying is perceived as a very bad thing … an admission that I am unsuccessful or one step ahead of personal bankruptcy or the bill collector. Yet another “ran off to the Philippines failure” in some people’s view, I am sure. Well, opinions are just like armpits, everyone is entitled to a few, but for those that do feel that way, my own opinion is, you would be wrong. I am heading into my retirement with zero debt. Zero, as in “don’t owe nobody”. My car is near-new and paid off, I have money in the bank in both countries, and the next significant money my wife and I are planning to spend is traveling for pleasure … for cash, nothing on the cards. The economics of trying to buy a home as we live in now just doesn’t make sense. I know I have written about it before, but maybe not here on LiP. Basically, I can pay my current rental rate for 10 or 11 years before the investment I’ve made equals what a normal down payment for a house in this price range would be … and then I’d have to take on a loan for 15 or 20 years to pay off the balance. Regardless of the dollars and pesos involved, I doubt I’ll be living in this house 10 years from now, so it makes no sense at all to me. In general, Philippine landlords are not obligated to “take care” of their tenants to the degree US landlords are. I’ve even been offered houses to rent that lacked a working toilet. “Oh sir, once you sign the lease and make your deposit the landlord will order the repairs.” Yep. And I have some ocean-front property in Arizona to sell you too, if you believe that fairy tale. Our editor here, Bob, reports he has an excellent landlord who is atop all repairs right away, whenever asked. That’s great. It is also not the norm. Ah, yes, the magical deposit. In my area, the typical lease asks for first and last month and one extra month’s rent as a damage deposit. Allegedly this will be returned upon the satisfactory termination of the lease. In practice, this seldom happens. The order of normal business I am aware of is this … you will likely be allowed to just live out the last couple months for free in lieu of an actual deposit return. If the landlord doesn’t agree to this, what is he going to do, evict you? You were leaving anyway. Again, like everything YMMV, but I certainly don’t expect my deposit back, even though the house is in a heck of a lot better condition now than when we first started renting in the Philippines. A very common business practice here in the Philippines, for any regular recurring debt, is to write a year or more worth of checks, in advance, dating each check for the month it is due and handing them all over to the landlord. It’s common, and it works for some people. I don’t like it. I am honored because I have relatives nearby, known to the landlord, to be able to pay my rent in cash each month and I do consider it an honor. Especially since I don’t have a Philippine checking account and am in no hurry to get one. Think this through before you get too far down the road on a house you may be interested in renting in the Philippines. When Bob pointed up the need to always keep receipts. It is likely your landlord may keep the utilities in his/her own name and just expect you to pay the bills for each month of use. Very unlikely that you can change this arrangement, even if you want to. For example, the electric company is very unlikely to even give you service as a foreigner without permanent residency status and some history of living here. Works ok for me and many others, but there is one huge caveat. Make sure any account you are thinking of accepting this arrangement on is current. If, for example, the last tenant ran up big charges, guess who is going to pay the charges in order to get the service turned on? Do you have a mirror handy? An American friend just about went berserk on this issue a few years back. He rented a house that had a phone line but did not get the phone turned on at the time. A month or so later he visited the phone carrier’s office and asked for service. The smiling clerk said, “Certainly, sir, the charge will be about 50,000 Pesos.” After my friend picked himself up off the floor, he asked why. Well, turns out that is what the last tenant had run up and skipped out on. Now to people imbued with a sense of fairness, as many of us are, this just sounds unthinkable. My friend didn’t make those calls, why should he pay for them? The landlord certainly didn’t make the calls, so why should he pay for them? The phone company, though, is a public utility. It’s their job to collect the bills owed them. You want service on that phone line, then you pay the bill. Eventually, after a lot of harsh words, arms waving and elevated blood pressure, my friend just gave up on the idea of a landline phone. But the exact same thing could happen with an electricity account or water. It’s a lot harder to live without electricity or water. So before agreeing to take on any utility accounts, visit the utility in question … the landlord may not even know about unpaid charges … and inquire for yourself. You can not fix a problem like this after the fact, you have to have reliable information before you sign a lease, or, just like in playing tag, you are “it”. A foreigner friend lives nearby and suffers greatly from noise. The neighbor on one side of my friend’s home in our residential neighborhood actually runs a commercial sheet metal manufacturing business out of his house and driveway. All day and sometimes into the night metal gets beaten into shape, welds get made (just great for the power in my friend’s house) the welds get nosily ground down, the parts get spray painted with clouds of smelly spray paint, and noisy trucks deliver and pick up often. The is essentially no concept of zoning and conforming use laws in many towns. And there is no one who is going to go out and enforce any that do exist in many cases. How did my friend get into such a pickle? Easy. He was so afraid that the landlord would charge him a higher price because he was a foreigner, he sent his sister-in-law to look at the house and negotiate the price. The lady did a fine job, my friend only pays PHP 1,000 more a month than I do, which is the going rate for these houses. But to the sister-in-law, the sheet metal shop next door was nothing unusual at all … in fact some would consider it an asset, because if you had an unemployed bum or a drug dealer living next door, things could be worse, diba? Dave’s advice? (and it’s only my opinion, of course). Forget about this sometimes overblown fear of being ripped off with a foreigner price. You can easily find out what things are supposed to cost without sticking your nose in first. Then go look at any house you are going to rent yourself and make your own decision. In particular, as part of the process, introduce yourself to the neighbors on each side and the lot on the street behind you. It only makes good sense to me, you are the one who has to live there, and you should do your own research. If something about the neighbor scares you or turns your stomach … or if the neighbor seems hostile toward you, wouldn’t it make sense to find out before the landlord has your deposit money and your signed lease? We renting in the Philippines. Buying a house in the Philippines is not really something we have ever considered. Why? There are a number of reasons, but I’ll come to that later. Real estate articles on here tend to get emotional responses. What I’ve written is my experience only. Some people may have done things differently. Locating a place. 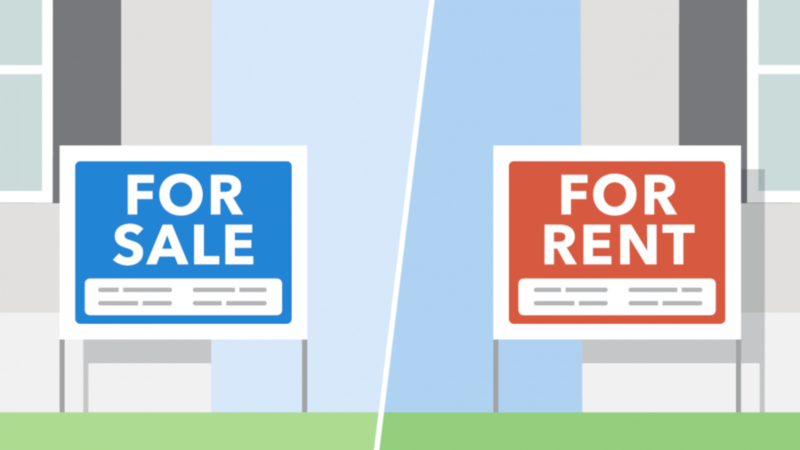 In the United States and the UAE, if you wanted to find a place to rent, you got online or got the local classifieds. Generally, the rents were spelled out, fixed based on the unit or square footage, and are accurate and up-to-date for the most part. Trying to renting in the Philippines while you are still abroad is a nearly impossible task. Listings online or in the paper frequently are months old, rents are typically unspecified or not accurate, or the photos posted might not match. The landlord can pretty much choose the amount he will rent to you. Discrimination is not only legal, but many Filipinos expect it. If you are moving here from abroad, it is best to budget a few weeks in a hotel and search in person. If not, at least a couple of days and pick an initial, short-term rental until you can find time to really look. Additionally, having a Filipino, say a relative of asawa or girlfriend, search for you will surely lead to disappointment. How can they possibly know what you really want? If you are working here or going to school (or you have kids), traffic in Manila should dictate where you live more than any other factor, unless you want to spend a quarter of your life sitting on EDSA and commuting. You cannot know some of these things until you first stay here a while. If you bought, you are pretty much locked-in. Move-in rents typically require four months minimum rental deposit. (Usually First, Last, and at least two months, usually more, security). This is pretty standard here. Compare versus the States where a typical flat might only require two months all-in. Furnished apartments here typically have furniture that is the absolute cheapest possible. Executive long-stay places are not nearly as common here as in major business centers (Though they do exist). A common practice here is for landlords to collect twelve post-dated rent checks in advance of move-in, and with lease renewal. Not all, but many, if not most, do this. Some landlords will allow the deposit to be used as last month rent if they are allowed to inspect for damage before the lease expires. Retrieving security deposits is not as easy as it may seem. Many renters here have great difficulty retrieving deposits. A good tenant/landlord relationship makes this much easier. Annual rent increases are capped by law at 3%… How many landlords observe this law? Not many. Again, a good relationship with your landlord is critical. (In our case, she increases 3% every two years, which is fair and reasonable). Typically, the renter is responsible for any and all maintenance (Something about renting in the Philippines that is very different from renting in the USA). This includes things like plumbing, electrical, and upkeep. We were able to negotiate with our landlord on a leaky roof and some termite damage, but some landlords hold you to the letter of the agreement. Most flats, houses, and apartments here are basically nothing more than four walls. On move-in, we needed to buy all the appliances, aircon, water heaters, light fixtures, new locks, and shower heads. We were also responsible for replacing broken water fixtures if we didn’t want to use the broken ones. This is why I do not recommend renting in the Philippines from abroad… You never know what you will find until you move in. Renters insurance, while useful in the USA, is effectively useless here. You cannot know the quality of a neighborhood from abroad. Relying on what the family says is no good either. If you buy in an area, without knowing flood history, traffic, convenience, security in advance, you are opening yourself up to disappointment and a potentially large financial loss. If you are renting in the Philippines and don’t like the neighbors, place, etc., you are limited only by the terms of your lease. How do you know that the neighbors’ roosters crow at 3:00 am until you move in? Read Bob’s earlier article which detailed the call center that went up next door. Before living here, I was told that I should look at an area in Marikina. Wanna guess which area had massive floods? If I had purchased, I would have been stuck. Say you move close to asawa’s family, and there are problems. If you own, you cannot easily move away from the situation (I was lucky… No such issues). Place that house in the province… Now what ya’ gonna do? By renting in the Philippines, we have flexibility if we need it. You cannot own anything here, except for a condo. Yeah, people say they “own”. You own nothing. Your spouse or whoever you bought the house for owns it. If you are in a long-term, stable relationship, then the difference is quibbling over terms. If not, a BIG difference, regardless of what anyone tells you the law is or how they “bought” some land. Say you lease land and build a house. You DO NOT own the house, but not the land, as has been posted many times online. Under Philippine law, the house becomes part of the land (same thing, BTW, if you make “improvements” to a rental… We added a gate to our house. When we move, the gate stays behind unless we but the house back to original condition). As to condos, they do not necessarily only mean an apartment. Many subdivisions with single-family homes are designated as condominiums. Also relating to condos, their value is always dependent on how well they are maintained. Ever look at building maintenance here? Buildings, were they in the States, that would look 40 years old are often relatively new, perhaps only ten years. Now, Rebecca and I have been married four years, together nearly six, and known each other for nine years. We are stable, I trust her 110%, but we still rent. Why? Yeah, owning a place might give her a little more security, but she doesn’t want to be tied here permanently (What if I croak? What if I am transferred? Say that Juanito inherits… Does he want to live here?) Selling a property in the Philippines can be an exhausting, trying, and expensive task. Rents are much cheaper in the Philippines than house payments. Typically less than 1% of the value. We are renting in the Philippines because of the economics work. The real estate market in the Philippines is terrible. If you think you will make money by buying a house, think again (Unless you are in a very highly desirable location, like in the CBD, or on the beach, or something similar). Many foreigners start building something here and the project is abandoned (The relationship went sour, they ran out of money, they ran into squatter or legal issues). The area around Rebecca’s place has numerous gigantic houses built for foreigners or OFWs that are virtually unsalable (Too expensive for the region). If you are planning to buy or build something and live in it until you die, then perhaps this is not a concern, but it is unlikely that you will make money. Those who make money in real estate in the Philippines either are playing in the luxury market (very limited), or are dealing with multi-unit rentals. Over the years, in the States, I was always told that real estate was a great investment. For many years, it was. Many of those same people who hounded me have eaten those words. Mortgages in the Philippines are very difficult to acquire and offer terrible terms and APR. Though some foreigners can “help” by being listed on a mortgage, since you cannot own land here, the bank will generally not issue a mortgage in your name alone. Banks view foreigners as debt risks, so unless your asawa’s family is well-off and she has the ability to qualify on her own, you are most likely out of luck. Not impossible, but very difficult. If you are over the age of 50, then forget this option entirely. Banks in the Philippines can, and do, discriminate based on age. Since those over 50 are more likely to kick off before the mortgage is paid, you are therefore a greater risk, no matter how good your pension or how much money you have. Though we could likely qualify for a mortgage here (The way I set up our accounts will do that… We were offered 35% DP and 10 years at 14%… Much higher foreigner rates), the financial requirements simply do not add up: We would lose a bundle except by paying cash, and even then the numbers do not make much financial sense. If you own, you can build, modify, add-on any way you damn well, please. Zoning in the Philippines is either weak or non-existent in most places. Do you want to start a fireworks factory in a residential area? Paint it purple with lime green accents? Build a sari-sari? No problem in many cases (Though the HOA might have an issue with that). However, your neighbors are free to do the same. In the provinces, with land all around, then most likely no big deal. In Makati? Might be a big deal. Asawa security. With no divorce in the Philippines, many Filipinas view a house as security in their old age. Now, in my case, Rebecca doesn’t hold that view. However, many people here do hold that view. For those dating online and such, when a Filipina asks you to build a house, in many ways it is security should you decide to dump her or leave the country. May sound harsh, but facts are facts. Home, or land, ownership is also the one thing that shows true social status in the community… More than money or anything else. When Rebecca grew up, those who owned land never went hungry. Is that the case today? Probably not. But when you are raised believing it, a very different view. Is it worth the risks and hassles? Only each individual can decide for themselves, but buying something immediately, or sight unseen, is simply asking for trouble, regardless of reason. In the Philippines, real estate and the laws related to it are completely different than what expats will be familiar. At least when you live here a while before buying or building, you can truly know the reality. Hi friends! It’s Podcast day again today! Because of that, I am back with another episode of the Expat Answer Man! I hope you have been enjoying the show. it iis fun to do a voice post instead of just written words. I hope you also realize that there are multiple ways you can get and listen to this Podcast! We have a listing on iTunes, where you can listen to the show. You can also listen right here on the website. You can even download the show and listen in your car or using your cell phone or iPod while working out or just enjoying your day. Hopefully, the diversity of methods for you to get this information and entertainment is useful for you. 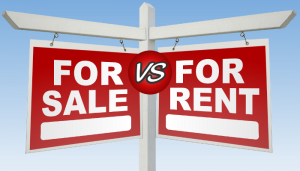 Renting in the Philippines or Buying? That is the question. Today, it’s a discussion that has been hashed out many times over the years here on LiP. What was the question? 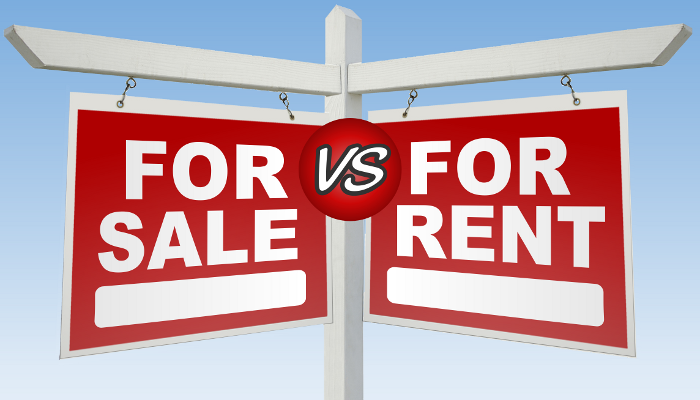 Is it better to be renting in the Philippines or to buy a place to live in the Philippines? We have gone through this one so many times on this site, but I suppose it’s time we talk about it again! I know the timing is right because I got a question via SpeakPipe from Tommy asking just that question! Most readers who have been around for a while will know that I am pretty firm in my thinking that renting in the Philippines is the way to go, at least as an initial way of living here. It takes time to make sure that you made the right move when you traveled here, and if you buy, you may find it difficult to get rid of your house if you should decide to return to your home country, or if you think that moving to another part of the Philippines is right for you. Why not give the podcast a listen and see what you think! If you think that paying rent is a waste of money, listen to my reasoning and see what you think? Still, think I’m wrong? No problem, we all have to make our own choice, but why not tell me in the comments how you reach your conclusion? It might make for an interesting discussion! Renting in the Philippines is something that I highly recommend. At least for the first few years. Truth is, renting in the Philippines makes economic sense. Rental costs in the Philippines are relatively low compared to the cost of owning a home. This is not the case in much of the world. Renting in the Philippines makes economic sense, and common sense too. Why do I recommend renting in the Philippines? Well, there are a few reasons. Firstly, if you build to the standards that you are accustomed to, it will very likely be very difficult to sell. Most houses here are not built to US standards. Also, people here might not like the design of your “American style” house. What Filipinos like, and what we like is not always the same. Nothing wrong with that, we are just different, as would be expected. However, if you build the house that you like, and decide to move somewhere else, you may never be able to sell the house. Most foreigners come here dead set that they are going to live in a certain place. They are sure of it. I came here with the idea that I was 100% certain that I wanted to live in General Santos City. After two years there, I decided to move to Davao City instead. It’s a move that I have never regretted. After living in Davao, though, I have decided that this is not the place where I will live forever. There are a number of reasons for that, which are outside the scope of this article. But, the fact is, I am very happy that I have continued renting in the Philippines. Somebody asked me the other day, though, about deposits on rentals. How much do you have to deposit, and can you ever get your deposit back? Let me try to answer those questions. How much do you need to deposit when you rent a house in the Philippines? Well, there is no law about it that I am aware of. It is simply something that you negotiate with the landlord at the time of rental. While living in the Philippines, I don’t think I have ever put down more than a 2-month deposit. This is a security deposit, to ensure that you do not damage the place. It also ensures that you pay all the bills when you move out. For example, if the electric bill wasn’t paid the deposit will be used to cover that. Same goes for telephone, water, or whatever else you may have on a monthly billing. Now, I said previously that I have always given 2 months deposit. Sometimes I have been asked for more but I have always been able to negotiate it down to 2 months. If the demand is too much, just walk away. Will you get the deposit back? What about getting your deposit refunded? Well, legally, the landowner must refund your deposit. Unless it used to make repairs to damage you caused or to pay bills that were left unpaid. That is the law. In practice, though, it can be difficult to get that deposit back. I have come up with a way that has ensured that I get my deposit back every time. I suppose it can still be circumvented, but in my experience, that has never happened. I leave the deposit asked for, say 2 months. Then, as my contract is coming near the end, I go and talk to the landlord. I do this a couple months before the end of the lease. Also, I explain that I will be leaving when the contract ends. I also tell the landlord that I have maintained the house well. Usually leaving it in better condition than when I moved in. I invite the landlord to come and have a look if he would like to do so. Usually, this invitation is declined, and the landlord simply accepts my word that the house is in good condition. Next, I ask the landlord if there will be any problems in returning the deposit that I left with them. I watch to see if he indicates that he doesn’t have the money. If so, I simply propose that I stay in the house for the last two months rent free. So far, in every case, this method has worked. There have been times when the landlord has assured me that he has the money to refund my deposit. There have also been times when I lived rent-free for two months. In either case, though, I have always gotten my deposit back. My view is that you should maintain a good relationship with your landlord. Treat him with respect, and keep the lines of communication open. If you do that, he will treat you fairly. Of course, there are some landlords who are bad people and will not keep his word. However, in my experience, so far I have not had that problem. I think that such a problem would certainly happen in a small minority of situations. So, that’s how it has worked for me. Every person is different, but these are my experiences with rental deposits. the one thing that appeals to me is the option of building a home with your own design preference. i agree, after finally deciding that the country is right for you, maybe see if you can build. i would. instead of the usual cookie cutter homes here in the states, you get to play with your own floorplan. Bob I will second Scott on that, as I thought of a similar reply after making the first reply, can you expand and tell individual stories as you saw them, in why foreigners decided to come back to their native lands, it would be of great help to many of us, you are there so you get to see the ones who throw in the towel as we would say. I've been reading your Blog for a while now and it's really good. Really looking forward to an answer on Joe's question about squatters. Me and my wife (she's Philipina), have land in Cavite, no squatters yet, but it is a constant worry. She's going over this fall to pay taxes on the land and to make sure there are no squatters, possiblly build apartments on it. Any suggestions or comments? Hi Joe and Ed – Thanks for stopping by my blog! The issue of squatters is an interesting one. I will address it on a post on the blog sometime this week. Thanks for the suggestion.